marte.marte have completed strikingly unique buildings in Western Austria, which has a rich variety of good architecture. In contrast to the typical tectonics of wood construction in Vorarlberg, marte.marte’s work is monolithic, also in concrete. And in contrast to the compact volumes of older and newer buildings in the alpine region, marte.marte also gives the surrounding and exterior spaces of their projects precise tectonics as well. Their spatial compositions – which are only block-like masses at first glance – receive their exterior dynamics from their interiors. 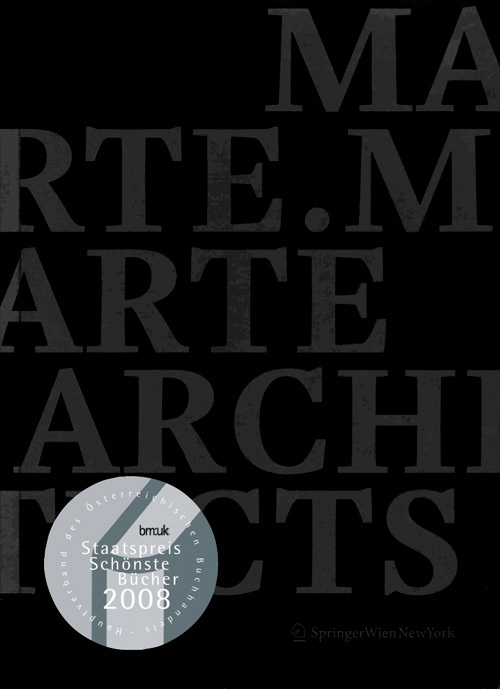 Whether it be concrete, wood, rammed earth, metal or glass, marte.marte always purify the material with disciplined details that serve the essential spatial experience of light and shadow, open and shaded areas, narrowness and breadth as well as inside and outside. 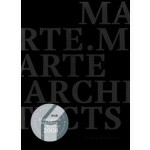 ‘marte.marte’ features synoptic photo essays and text analyses that show the strong bond between the architects and the values of the region as well as their conceptual, sensual explorations into the realm of universal themes: section versus plan, weight versus lightness…, form versus life.